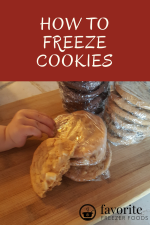 Check out my review of the original Don’t Panic Dinner’s in the Freezer cookbook. I love that Don't Panic More Dinner's in the Freezer kept the same great layout as the original and tried to improve on it. They added symbols for lighter fare, crockpot recipes, quick recipes and Entertaining. They also gave three ribbons per chapter highlighting the favorite recipes from all three authors. 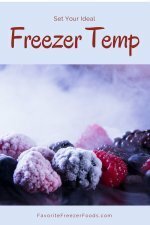 This new book includes a section on thawing your meals and added a section on how using the freezer can make your life in the kitchen easier. It also includes all the freezer cooking introductory information from the original so you don’t need both books, in fact most of it is verbatim so if you read the original just skip to the two new sections. One recipe was the same as the original Don’t Panic cookbook; The Rice Broccoli Casserole on page 231 and Broccoli Rice Casserole on page 230 of this book are the exact same recipe except this book uses fresh broccoli while the first in the series used frozen broccoli and this time they included instructions for freezing it. All of the side dish recipes in this installment can be frozen, an improvement over the original. You'll also find more grill recipes which is great for some people and less than ideal for others. It would have been nice if the instructions included more than one cooking method but you can always indoor grill or bake you’re meals as you see fit. There is still no nutrition information or pictures and the index is still organized by chapter. But the recipes in this book are not brand specific and the equivalency chart is much improved (it wasn’t ever worth noting in the original). Return from Don't Panic More Dinner's in the Freezer to the homepage of Favorite Freezer Foods.